During research for this post the author noted an illuminating post about mastering the London Transport ticketing system which should prove helpful to new visitors to the city and those who last visited before the introductionof the Oyster Card. London is a massive destination and is also a living museum with plenty to do and visit. There is so much history, landmark architecture and art packed into its busy streets that you need an organised itinerary to get through your tour successfully. The beauty and saving grace of touring London is the Underground, taking the tube can get you pretty much anywhere in the capital quickly and easily. 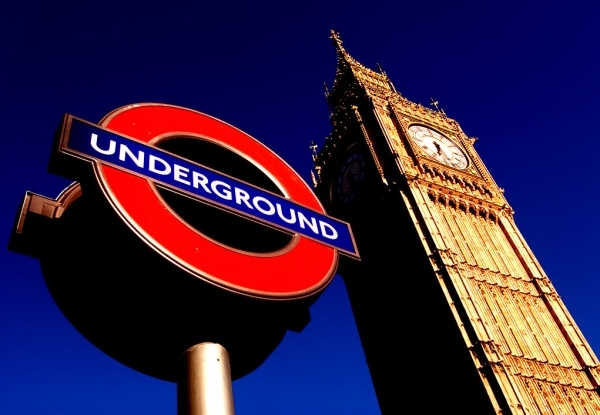 A great way for travellers to organise an itinerary is to study the London Underground and find out which stations are nearest to particular areas and attractions. That way you can see as much as possible in one go and save you both time and money. Central locations you should look up stations like Westminster and Charring Cross, these are good for all the main attractions, the Houses of Parliament, Big Ben and St James’s Park; just up the road is Trafalgar Square, Pall Mall and the National Gallery. You will also find yourself near the tourists must see sights of Buckingham Palace and St James’s Park and Palace. Not too far away you will find Monument tube station; this will give you easy access to the wonderfully historic Tower of London, St Katherine’s Dock and the iconic Tower Bridge. Here it is not too far for you to jump off at Waterloo station and take a ride on the London Eye, then check out the Tate Modern and the marvellous Shakespearean Globe Theatre. Museum lovers should make a note of South Kensington Tube Station, this is the location you want if you intend spending your week exploring the Natural History Museum, The Science Museum and the Victoria & Albert Museum. Another station on the knowledge hunter’s trail is Lambeth North where you will find yourself close to the Imperial War and the Florence Nightingale Museums. Alternatively the Tottenham Court Road for easy access to the informative British Museum and John Sloane Museum. Travelling a little further out, tourists will find that High St Kensington puts you right in the centre for Kensington Palace, Kensington Gardens and Notting Hill with its chic restaurants and the boutique stores of Portobello Road. While Baker St Tube is great for getting to Madame Tussard’s Waxworks, Regents Park, London Zoo and on up to see the gorgeous views across London from Primrose Hill. What trip around London wouldn’t be complete without seeing the two British religious bastions, the splendour of Wren’s Italian influenced St Paul’s Cathedral, with its own tube station and the glorious gothic Westminster Abbey over the road from Westminster tube, here the good and the great throughout time have been crowned, married and buried. So organising a trip around London, despite its size can be quite simple, just list the places you desperately want to visit, buy a day roaming rail ticket and find the stations that are nearest to your favourite sites. This way you can take in the best the city has to offer without getting stuck in traffic jams or fighting your way through the crowded London streets. Travellers and backpackers should opt to travel to beccles suffolk, check out other places in the UK.